A walk through a five foot way floored with vintage ceramic tiles. 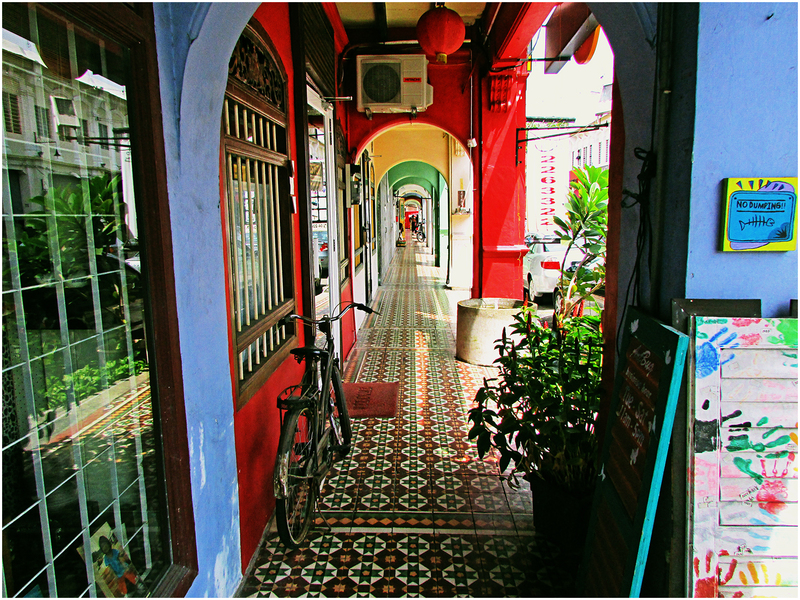 Five Foot Ways (a form of heritage architectural design) are public spaces in front of most pre-war townhouses in George Town such as this one at Nagore Road. Five Foot Ways roughly describes the width of the walking passage although this may not necessarily be accurate as some passage ways may be wider or more narrow.